The New York Pride Parade ended Pride Month with a huge celebration. Among all the happy, colorful celebrants, it was hard not to notice one truck waving blue and white flags. 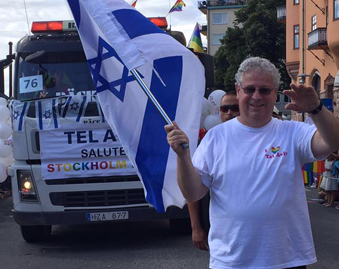 On the truck, along with other celebrants from the community, was Israel’s Consul General in New York, Danny Dayan. Israel was one of the three countries to be represented in the parade. Last year, Israel also led a special delegation to the march, but without the consul. This year, along with the reality TV and web stars Alexis Michelle and Yuval David, with DJ Omri Angel playing a live set on the truck, Dayan waved a flag, surrounded by consular workers and hundreds of LGBT marchers who support Israel and A Wider Bridge, a pro-Israel organization that works for equality of the LGBTQ community. 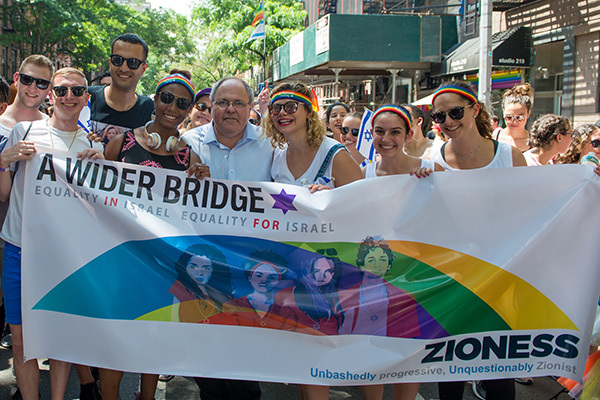 The Gay Pride Parade, which also took place in Israel a few weeks ago, began here in New York in the 1970s. It followed violent confrontations with the NYPD in protest of its homophobia and constant, ongoing violence against gay and transgender people. The riots, known as Stonewall Riots, began on Saturday, June 28, 1969, at about 1 am, when the police raided ‘Stonewall Inn’ gay bar in New York’s Greenwich Village. The LGBT community began to gather and protest for LGBT rights and every year the riots are marked by pride parades in major cities around the world. Over the years, the events and activities around the parade have expanded and from one day a year to a whole month, which became Pride Month. Earlier last week, the Consul hosted a special VIP LGBTQ Pride Reception. 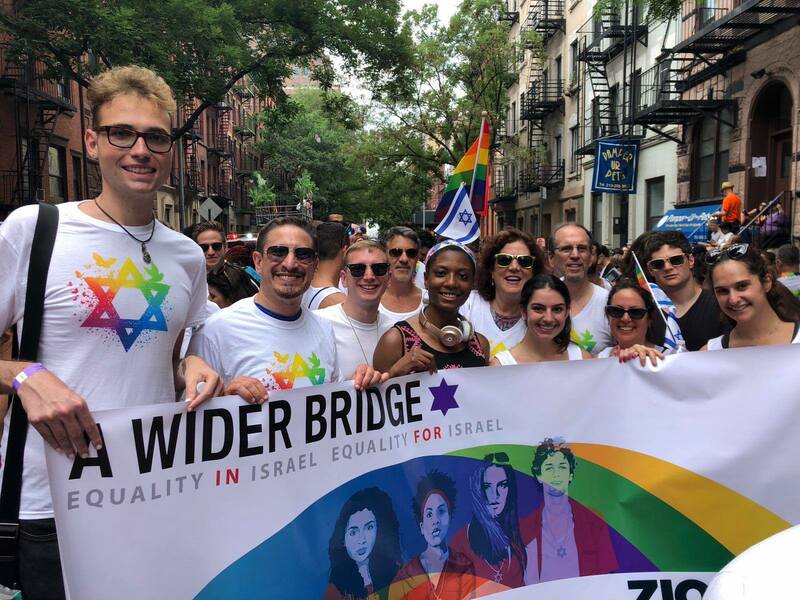 The event was led by the Department of Public Diplomacy of the Israeli consulate in New York, with the aim of exposing the struggle for LGBT equality in Israel and move the communities closer. Quentin joined A Wider Bridge and became a leading activist. 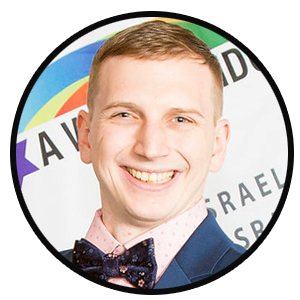 “Last year I received a phone call from Consul Dayan and we had an honest conversation about the work that we want to do in the [LGBTQ] community in regards to Israel, which is becoming a very polarizing issue, even in the community. 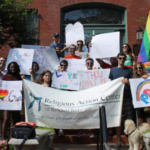 Our organization works both for Israel and the LGBT community in Israel, and we want to ensure that Israel is treated fairly in the American Jewish community,” Explains Hill. 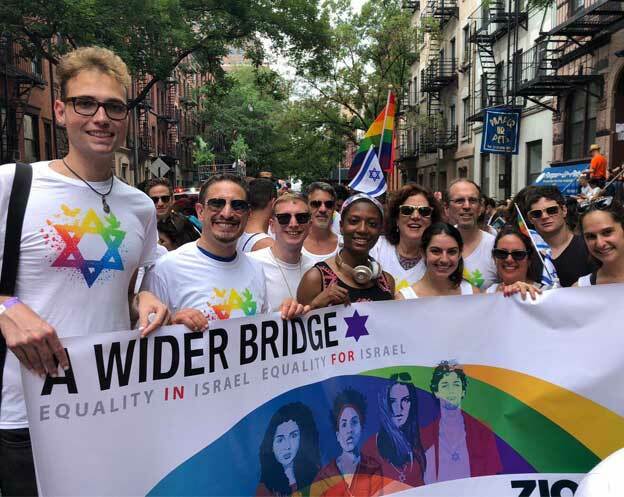 A Wider Bridge marches with Zioness and the Israeli Consulate Delegation marches during the annual Pride Parade in New York City.